This is a post by iOS Tutorial Team Member Allen Tan, an iOS developer and co-founder at White Widget. You can also find him on Google+ and Twitter. This is the second part of a tutorial series that shows you how to make a sprite cutting game similar to the game Fruit Ninja by Halfbrick Studios. 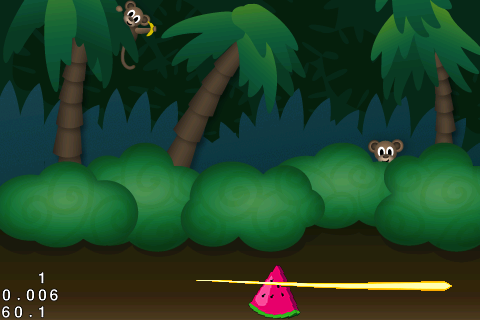 In the first part, you learned how to create a Textured Polygon, and made a Watermelon out of it. All the preparation you did in the first part will pay off in this second part of the series, where you’ll finally be able to cut our sprites. 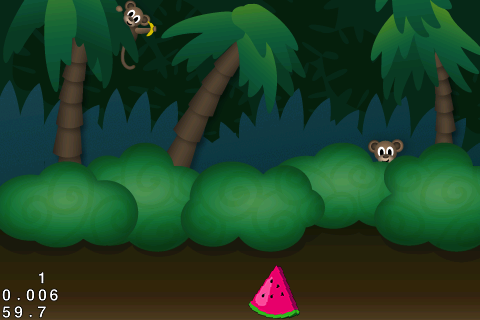 As with the first part, this tutorial assumes that you are no stranger to Cocos2D and Box2D. 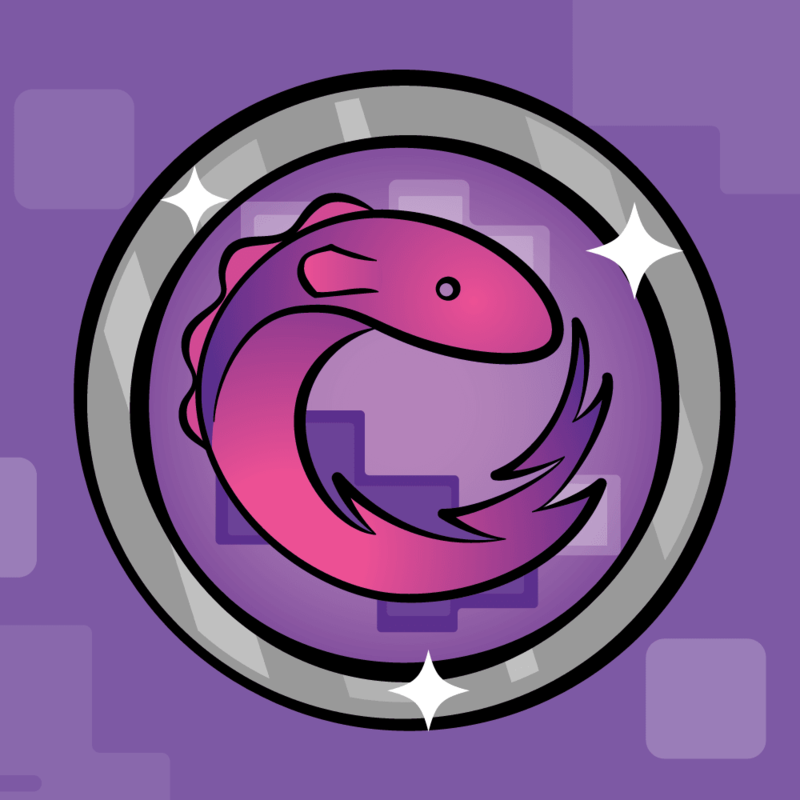 If you are new to Cocos2D or Box2D, please check out the intro to Cocos2D and intro to Box2D tutorials on this site first. If you don’t have it already, download a copy of the sample project where you left it off in the previous tutorial. Next, you need to make modifications to PolygonSprite’s structure so that it can handle being cut. Compile and check for any syntax errors. 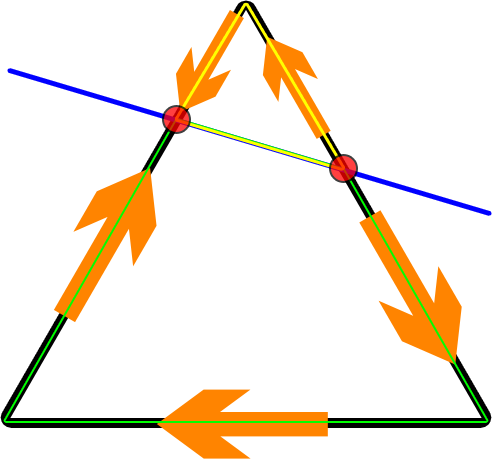 entryPoint: The point where the slice first intersects the polygon. exitPoint: The point where the slice intersects the polygon for the second time. sliceEntered: Determines if the polygon has been intersected. 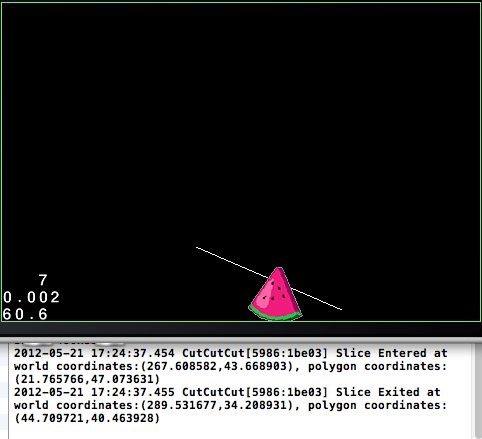 sliceExited: Determines if there has been 1 complete slice for this polygon. sliceEntryTime: The exact time the slice entered the polygon. Used to eliminate swipes that are too slow to be considered as cuts. In order to cut sprites, you must be able to determine where it was cut. This is where Box2D ray casting comes in. In ray casting, you specify a start point and an end point, and Box2D will trace along the line from start to end and tell you all the Box2D fixtures it collides with. Not only that, it can also perform a callback method telling each fixture what to do. You’re going to use ray casts based on the player’s touch input to determine all the fixtures that the player’s touch passes by, and use the callback method to record the intersection points. The above code specifies a starting and ending point for the touch. 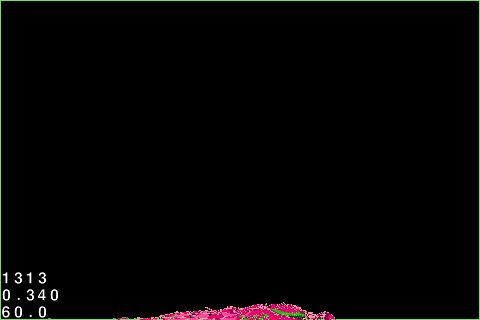 The start point is stored when the player touches the screen in ccTouchesBegan, and the end point moves while the player moves the touch in ccTouchesMoved. The ccDrawLine method draws a line from the start point to the end point. This line will represent the ray cast that you will create next. To use Box2D ray casting, you call a simple function on the world called RayCast, and provide it with the start and end points, along with a callback function that runs for each fixture the ray intersects. The ray cast function needs to be stored in a b2RayCastCallback class. In Xcode, go to File\New\New File, choose iOS\C and C++\Header File, and click Next. Name the new header RayCastCallback.h, and click Save. ReportFixture is the method that gets called whenever Box2D detects an intersection. You set the intersection point as the entry point if the polygon has not been intersected yet, and set it to the exit point if the polygon has already been intersected. You convert the points using GetLocalPoint because you need to know the coordinate within the polygon’s vertices, and not the coordinate within the world. World Coordinates start from the lower left corner of the screen, while Local Coordinates start from the lower left corner of the shape. Lastly, you return 1 to tell Box2D that this ray cast should continue to check for fixtures even after the first fixture. Returning other numbers will make the ray cast behave differently, but this is beyond the scope of this tutorial. You declare a RayCastCallback class and pass it as a parameter to the RayCast method. For now, you only call the RayCast when the player’s touch ends. You do the ray cast twice because Box2D ray casting only collects fixtures in one direction and will only intersect each fixture once. To get around this, you cast one ray from the start point to the end point and one from the end point to the start point. Compile and run. Draw a line and check the logs. Splitting the polygons may be the most complicated part of the tutorial, mostly because there are a lot of calculations to do, and a lot of Box2D rules to follow. But don’t worry, this is probably the coolest part also, and I’ll walk you through it bit by bit! Declares the variables. The most important thing here is that you declare two new PolygonSprites, and two arrays that will store their polygon’s vertices. You start populating the array of vertices for each shape by adding the intersection points to both arrays. The intersection points are present as vertices in both shapes. You assign the remaining vertices of the original shape. You know that the shape will always be cut into two parts, and the two new shapes will be on opposite sides of the cutting line. You just need a rule to determine which shape each of the original polygon’s points should belong to. Well good news – there’s a way to “determine” this, by using a mathematical concept called determinants! In Geometry, determinants are “mathemagical” functions that can determine the direction a line takes to move from one point to another based on its resulting sign (positive, negative, or 0). You use the determinant equation defined in HelloWorldLayer.h, and plug in the coordinates of our entry point, exit point, and each of the original vertices. If the result is positive, then the 3 points are in clockwise order. If it is negative, then the 3 points are in counter-clockwise order. If the result happens to be 0, then the 3 points are on the same line. You add all points clockwise to the first sprite, and the rest to the second sprite. Box2D expects vertices to be arranged in a counter-clockwise order, so you rearrange the vertices for the two new sprites using the arrangeVertices method. This makes sure that the arranged vertices adhere to all of Box2D’s rules on defining polygons. If the areVerticesAcceptable method decides that the vertices are unacceptable, then it removes the slice information from the original sprite. This initializes two new PolygonSprites and creates their Box2D body using the createBody method. The new sprites inherit properties from the original sprite. If an original sprite is cut, it is reset and stored away. If a piece is cut, then it is destroyed and removed from the scene. Whew…still with me? Good. There’s just a few more things to add before you run the program! createBody: This creates active Box2D bodies that can instantly collide with one another. arrangeVertices: This arranges vertices in a counter-clockwise order. It uses a qsort function to arrange them in ascending order according to x-coordinates, then uses determinants to make the final arrangement. comparator: This is the function used by qsort. It does the comparison and gives the result to qsort. areVerticesAcceptable: For now, it assumes all vertices are acceptable. Compile and run, and try cutting your Watermelon. It works! Who knew Math could cut fruits! Note: Don't worry if the game suddenly crashes. It will be fixed once you implement the areVerticesAcceptable method. The slicing feels a little unnatural right now, because the player can move their finger in a curve, but we're treating the cut as a straight line from where the touch started. It's also a bit weird because the cut doesn't take effect until the player lifts their finger. You transfer the RayCast from ccTouchesEnded to ccTouchesMoved so that polygons could be split while moving the touch. Box2D ray casts can't be made too often, nor too short, so you only perform ray casts at every 5 points distance between the start and end points. The above way of comparing distance is just an optimized way of saying "if (distance > 5)". Solving for distance requires a square root operation, and this is an expensive operation to be doing too often, so you just square both sides. Once a ray is cast, you treat the end point of the ray cast as the new start point. Lastly, you clear all intersections whenever the player stops touching the screen. Compile and run, and now the swipe should feel more natural. With this method, you are more prone to violating Box2D's rules. Try creating a cut that exits the sprite from the same side it enters and see what happens. Also try cutting the polygon into itty bitty little pieces and see just how small you can go. Before accepting an exit point, the callback now checks the location of the two points. If the entry and exit points lie on opposite sides from the center of the polygon, then the cut is acceptable. If not, you check if the entry and exit points lie on the same line by using a collinear checking function on all the lines formed by the vertices. If they are collinear, it means the intersection point is another entry point, otherwise, it is a complete slice. //check 5: Box2D requires that the shape be Convex. //you use the determinant to check direction from one point to another. 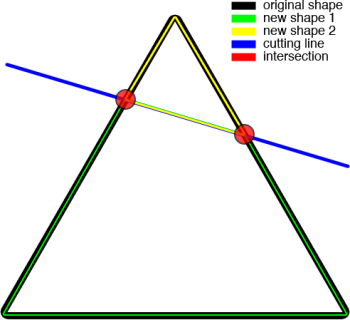 A convex shape's points should only go around in one direction. The sign of the determinant determines that direction. If the sign of the determinant changes mid-way, then you have a concave shape. Check 1: A polygon needs to have at least 3 vertices. Check 2: A polygon cannot exceed the predefined b2_maxPolygonVertices, which is 8 vertices. Check 3: The distance from each vertex must be greater than b2_epsilon. Check 4: The area of the polygon must be greater than b2_epsilon. This is still too small for us, so you just limit the area to 0.0001. Check 5: The shape must be convex. The implementation of the first two checks are pretty straightforward, while the third and fourth checks are taken straight from the Box2D library. The last check uses determinants once again. A convex shape's vertices should always turn in the same direction. If the direction suddenly changes, then the shape is automatically concave. You traverse the vertices of the polygon and compare the sign of the determinant. If the sign suddenly changes, then it means the vertex changed directions. 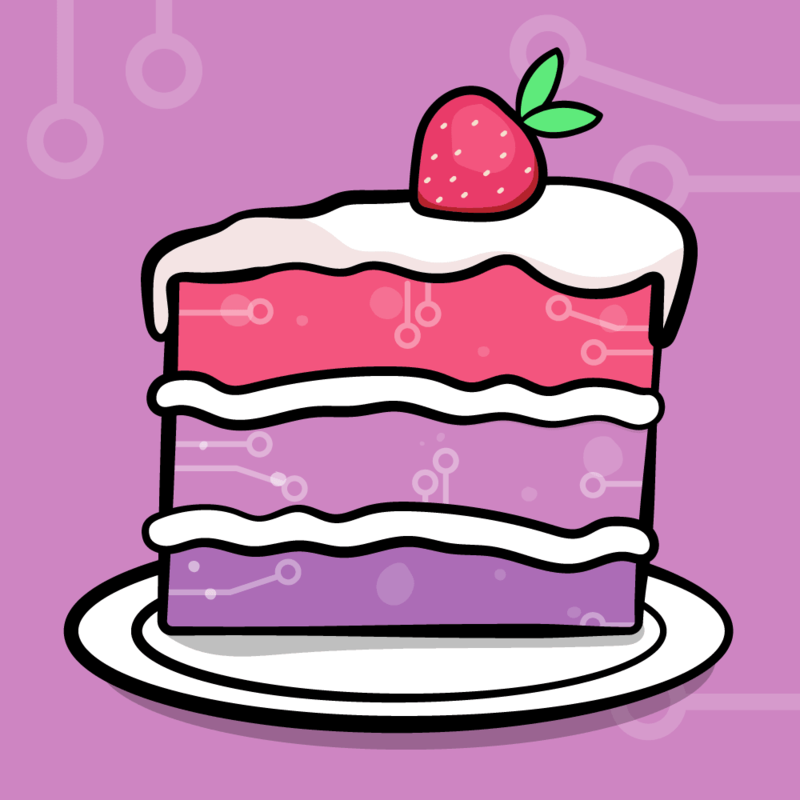 Compile and run, and make yourself some fruit salad! You're certain that the Box2D part works as expected, so you won't be needing debug drawing anymore. 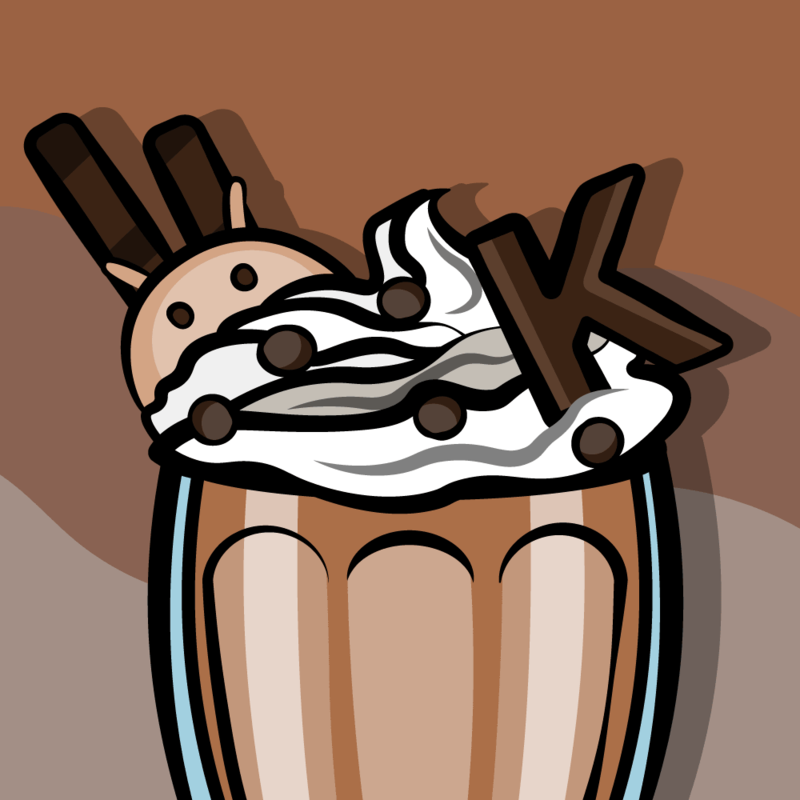 Compile and run, and you should see the neat background Vicki made for this tutorial. Without debug drawing, you need a new way to show the swipes. The CCBlade effect made by Ngo Duc Hiep is a perfect replacement. Download CCBlade, extract it, and hit Option+Command+A in Xcode and add CCBlade.m and CCBlade.h to your project. Make sure that "Copy items into destination group's folder" is checked and "Create groups for any added folders" is selected. CCBlade is maintained by a third party, so the version may differ with what this tutorial uses if it is updated. You can get the exact version of CCBlade the tutorial uses in the Classes folder of the resource kit. You made the same conversions to the drawing code as you did for PRFilledPolygon before, and removed the scale multiplier from the code since the shader program handles this now. CCBlade populates a path array with points, and draws a textured line across those points. Right now, it updates this array in the draw method. However, it is recommended that you only do drawing calls in the draw method, and do everything else in the update method. To better manage the path array, you will update it in HelloWorldLayer's update method. You make a property for the path array so you can access it from HelloWorldLayer. You then create 3 interchangeable CCBlades to be used in the game. For each blade, you set it with 50 maximum points so they don't become too long, and assign a streak texture that should already be in your Resources folder. You set each blade's autoDim variable to NO. CCBlade uses the term "Dim" to mean that the blade effect should fade from the tail end towards the head by popping points out of the array one by one. With this, CCBlade automatically removes points from the path array. This is quite convenient, but since CCBlade does its auto-popping feature inside its draw method, it's better to set this to NO and control the dimming ourselves in the update method. When the player touches the screen, you assign an unused CCBlade, and the touch pushes in location points to its path array. Last, you tell the active CCBlade to dim itself when the player stops touching the screen. You make the update method handle the dimming of the active CCBlade. You want it to fade at the same pace no matter what the fps is, so you multiply it with delta time and a constant value. Since our delta time will not always be a whole number, you store the remainder for use in the next cycle to make the popping rate more constant. Compile and run, and try out your shiny new blade effect! Here is a sample project with all of the code from the above tutorial. That's it for Part 2 of the series. In Part 1, you created a Watermelon Textured Polygon that falls to the bottom of the screen. 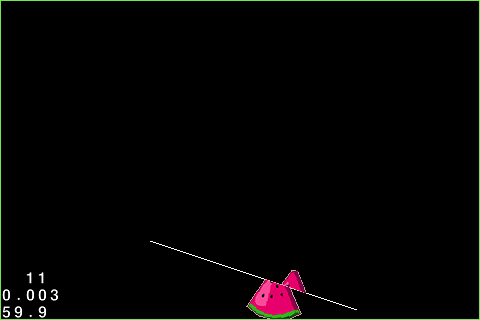 Now, you are able to slice and dice the Watermelon into tiny little pieces with a cool blade. In the next and last part of the series, you will finally turn everything you have into a complete game!